Congress SC leader Kittu Grewal on Sunday threatened to launch a campaign against the party for its failure to give tickets to the Balmiki and Mazhabi Sikh candidates in the state. On Sunday, she tendered her resignation to Congress president Rahul Gandhi. 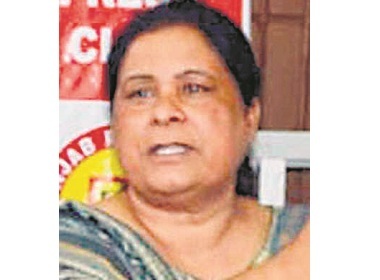 Stating that the party had sidelined the candidates of these communities, Grewal asked the party high command to review its decision on at least two of the Balmiki and Mazhabi Sikh seats in the state until April 20, failing which she along with her supporters would quit the party. “The Congress has failed the Balmikis. We shall hold a statewide campaign against the party decision. We have asked the high command to review two of its candidates from these seats until April 20, failing which we shall intensify the campaign. In the Doaba area, 38 per cent of the voters belong to the Balmiki community. The high command had promised at least 50 per cent seats to the Balmikis. We were hoping seats from Hoshiarpur, Jalandhar, Fatehgarh Sahib and Faridkot but were offered none,” she added. “We will announce our next step after April 20,” Grewal added.